MAMMA MIA! HERE WE GO AGAIN, both a prequel and a sequel, tells two stories: present day as Sophie Sheridan (Seyfried) prepares for the grand reopening of her mother Donna’s (Streep) hotel and 1979 when young Donna (James) first arrives on the island. Sophie learns about her mother’s exciting, fun-filled adventures with the young Dynamos, Tanya (Jessica Keenan-Wynn) and Rosie (Alexa Davies), and how young Donna first met her three possible dads Harry (Hugh Skinner), Bill (Josh Dylan) and Sam (Jeremy Irvine) all those years ago. With over an hour of bonus features including one- of-a-kind lyric videos and a never-before-seen performance of I Wonder, MAMMA MIA! HERE WE GO AGAIN is filled with fun, joy and romance that allows you to tap into your inner dancing queens all from your own living room. 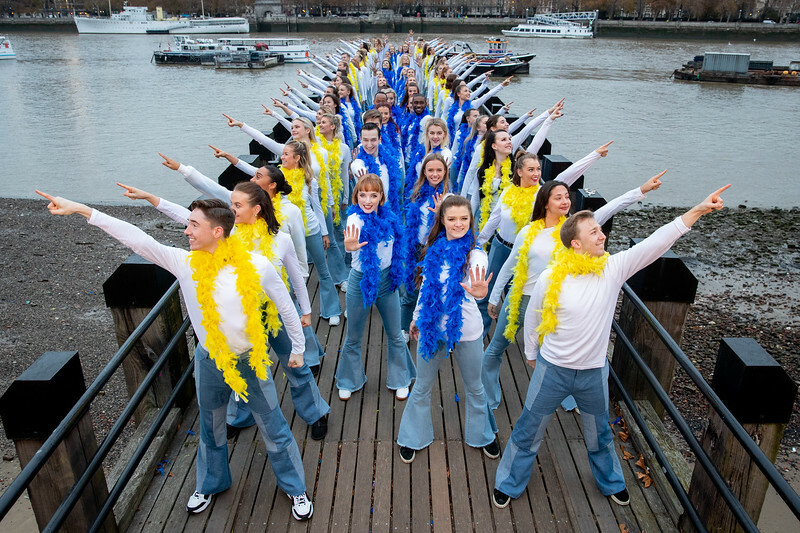 FREE FOR EDITORIAL USE - Dancers in Mamma Mia! inspired outfits broke the Guinness World Record for the World’s Largest Disco Dance celebrating today’s DVD and Blu-ray TM release of Mamma Mia! Here We Go Again.